Beatings, electrical shock exacerbated serious heart condition. CAIRO, Egypt (Morning Star News) – Repeated electrical shock torture of an Egyptian Christian accused of “proselytizing” in Libya likely exacerbated his heart ailment, leading to his death in custody, according to sources close to the deceased. Ezzat Hakim Atallah died on Sunday (March 10) in a Tripoli jail while in the custody of an Islamic militia group known as the Preventative Security Unit. He was 45. Atallah was arrested without being formally charged in Benghazi on Feb. 13 as Preventative Security was rounding up expatriate Christians and accusing them of spreading Christianity to Muslims. The group is an internal police force formed during the Libyan Revolution by regional rebel leaders. Sources close to Atallah told Morning Star News that he had a “serious chest condition” that would have cost him his life under the repeated beatings and electrical shocks. Atallah was taken to a hospital once during his captivity, on March 6, but he returned to jail after medical personnel were either unwilling or unable to properly treat him, they said. Libyan authorities told his family he collapsed in jail and that he died of high blood pressure. The embassy of Egypt, a country where a majority believes those who leave Islam should receive the death penalty, has claimed he likely died of “natural causes.” Atallah also reportedly suffered from diabetes. 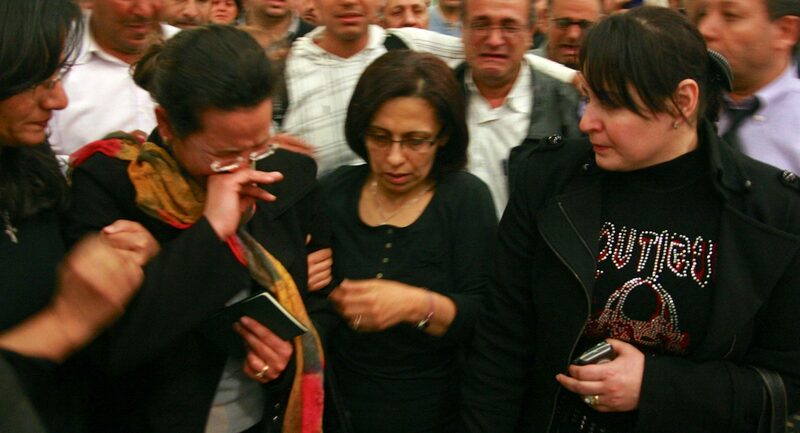 Atallah leaves behind a 15-year-old son and an 11-year-old daughter. 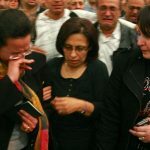 His widow, Ragaa Abdallah, arrived in Cairo on a plane bearing her husband’s body on Tuesday night (March 12), en route to his funeral in Upper Egypt’s town of Assiut yesterday. 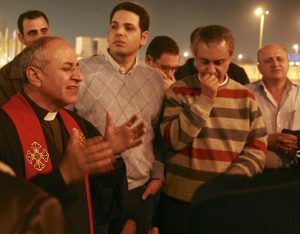 More than 100 well-wishers, most of them Christians from several denominations, joined relatives of Atallah’s widow to greet her at the airport. She was overcome with emotion and collapsed in the airport lobby. Helped to a set of chairs, she recovered and left to collect her husband’s body. His remains were transferred by van to Assiut and were buried within hours of arriving. Atallah, who had run a cell phone sales business in Benghazi, was arrested as part of a round-up of foreign Christians the week of Feb. 10. Seven Christians were arrested that week, four of them Egyptians (see Morning Star News, Feb. 23). Initially only one of the seven, Sherif Ramses, was believed to have been tortured, but now Christians with close ties to Libya say all seven of those arrested have likely been tortured. Ramses owned a bookstore that sold Christian and secular books. Members of the Islamic militia used Ramses’ cell phone to identify other Christians in the area and arrested them as well, though Ramses reportedly insisted that Atallah had not taken part in his publishing business. Atallah was reportedly transferred to Tripoli on Feb. 25. Sources close to Atallah now say the round-up occurred after a Muslim villager in Benghazi became incensed when Christian literature destined for Ramses’ store was mistakenly delivered to him. 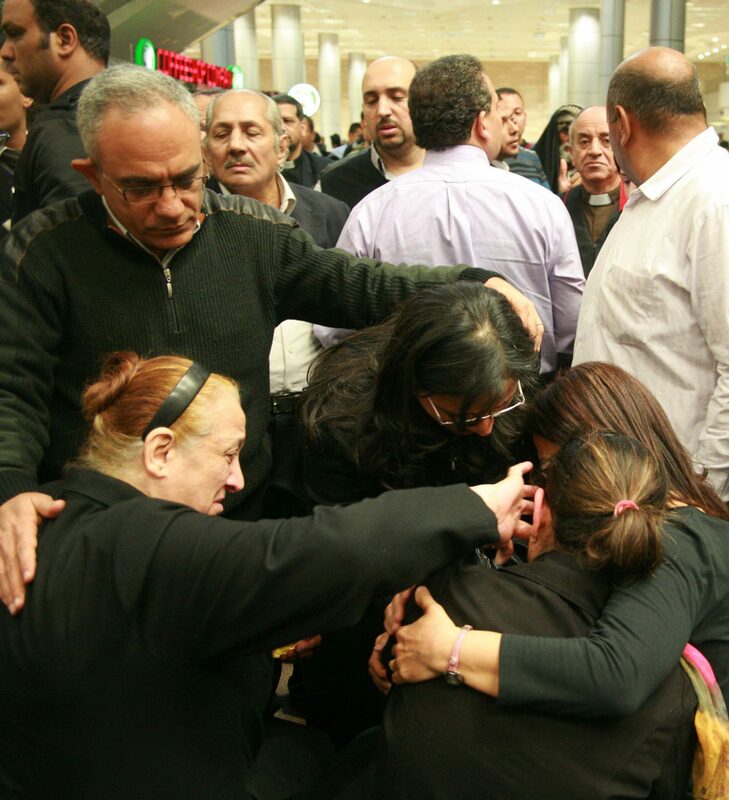 Atallah’s death comes after another major incident of Christian persecution in Benghazi. The week of Feb. 17, militia members rounded up dozens of Coptic Orthodox Christians, accused them of preaching to Muslims and detained them in a camp. Numerous Copts were abused and harassed. The captors shaved the heads of many of those they detained, and forced many into hard labor. Most of those held were detained for a week. It is almost impossible to determine how many were detained as others were later arrested, but reportedly some 35 of a an initial 55 prisoners were later deported, with the others released but allowed to remain in the county. Also, on Feb. 28 a priest and his assistant in a Coptic Orthodox church in Benghazi were attacked. Both suffered minor injuries. One Protestant clergy member who works directly with Christians in Libya said the climate toward Christians in the country has changed dramatically over the past few years. Atallah was widely known in the Coptic community as a deeply committed Christian.